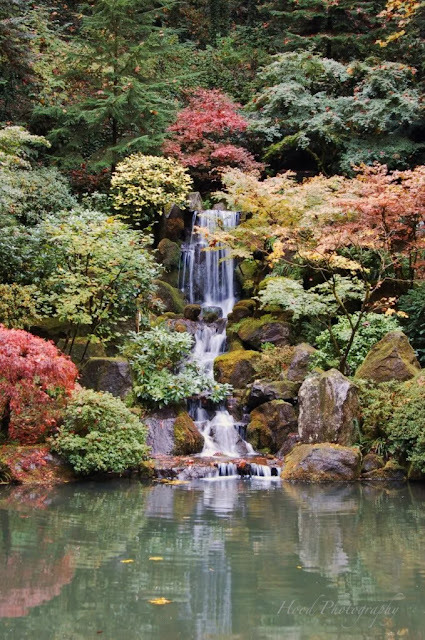 I used to live in Eugene, but didn't get a chance to see the Portland Japanese Gardens--what a lovely photo! Such a beautiful little fall! And the coloured leaves make it even better! Wow amazing place. Love the color around the water. Great shot!